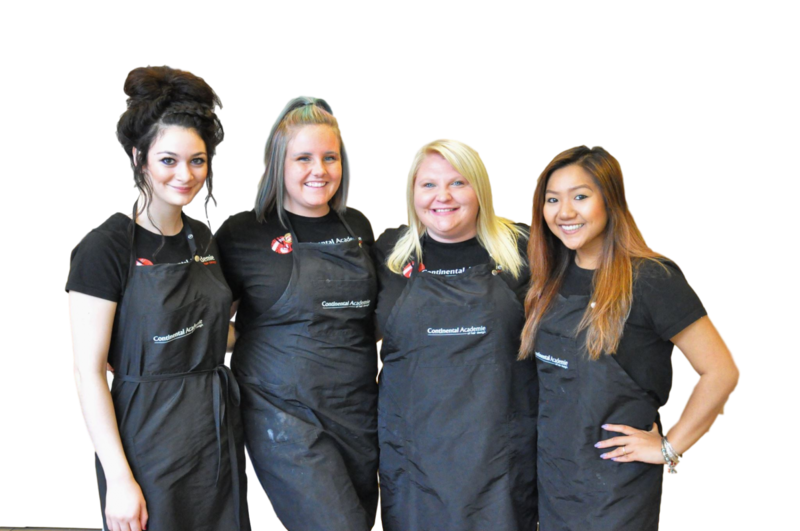 Admissions » Continental Academie- Ignite your passion for Cosmetology today! Here at Continental we work together with students to unlock their true potential through a hands on, real world environment. The only way to truly know if a place fits your awesomeness is to visit! Come tour the school and see for yourself! Complete the form to schedule your Info Session and Tour and talk one-on-one with one of our Admissions Reps today! Meet with instructors, talk with current students, and get Financial Aid and Admissions Info. Download our Application of Enrollment to take your first steps toward a fun and fulfilling career! Both schedules attend class Tuesday though Saturday for their entire program. Did you know that we offer up to $5,100 in Scholarships?! Financial Aid is available to those who qualify. We have the capability of receiving Federal Pell Grants, Direct Stafford Loans, as well as Parent PLUS Loans. If you would like help applying for financial aid, please feel free to email us any time with your questions. She’s our resident Financial Aid Guru. She can help you navigate the FAFSA and Financial Aid. Our Financial Aid Department is here to help you! Does the FAFSA have you stumped? Contact us today and we will be happy to help walk you through the process. Most students are eligible for $10,100 regardless of what their parents make? Even if you think your parents make too much money, you will still get aid.